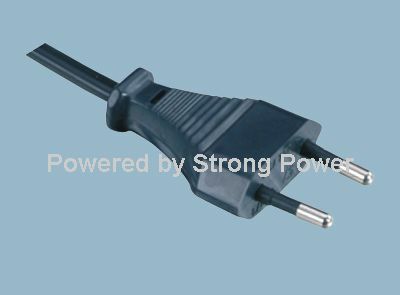 Conductor (power cord) for household use generally are copper or aluminum core, the appearance of the foreskin wrapped in a layer or layers of insulation, known as the insulated conductor. With this layer of the coat, even if the lamp lit, hand to touch the wire, not shock. According to the conductor (power line) hard and soft cores, the wire was divided into two kinds of hard lines and soft lines. The cord is made of fine copper wire plastic foreskin lines, often moving electrical equipment, such as hanging lamps lamp line for iron, electric rice cookers and power cord. However, in humid places, such as walls, ceilings, use the protection of insulated wires, ordinary insulated wire, sets of steel or plastic casing to avoid decay leakage. Wire laying method and location, choice of conductor thickness are not the same. Coarse wire used in the stove room and ambient temperature corresponding to those installed in the pipe protection. 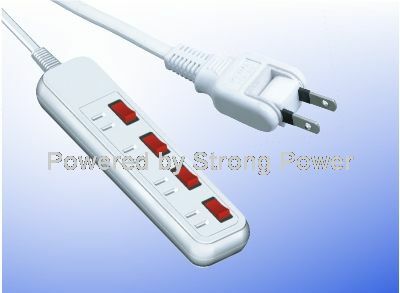 Buy a new electrical appliances such as lamps, microwave ovens, all with their own power cord and plug may use to pull a wire, in a convenient place to install a wiring board, and still use the thin wire is not used by the ordinary electric light safe. If the microwave power of 1000 watts, 500 watts, washing machine, iron 300 watts with the use of these appliances, the current increased by several times, the use of time and a long, thin wire and a large resistor, the current circulation, can cause fever and burn the wire plastic coat. ?Usually see some wires of the plastic skin is charred black, is the current is too large sake. Therefore, the home and add appliances, should check the thickness of the original wiring board wire and into the house power cord. Wire is used to protect the wire, to prevent leakage with, do not use wire, wire hanging wires, lights, or wire wrapped around the handles in the wire.